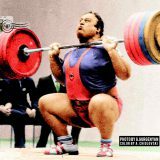 The History in Color series presents lead Polish super heavyweight of the late 1970s and 1980s, Robert Skolimowski of Warsaw, Poland. 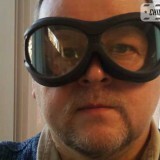 Robert Skolimowski (b. 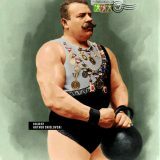 1956) was selected to represent Poland in the 110+kg class at two Summer Olympics. At 24, he took the 7th place with 385kg (175+210) total at the 1980 Summer Olympics in Moscow. He was also selected to compete for Poland at the 1984 Summer Olympics but, due to the boycott by the Eastern Bloc countries, Skolimowski and Team Poland didn’t attend the Games in Los Angeles. 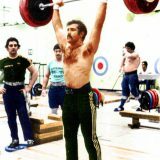 Robert Skolimowski had a very promising beginning of his career in Olympic weightlifting. At 19, he won the World title at the 1975 World Junior Championship in the super heavyweight with 355kg total (160+195). 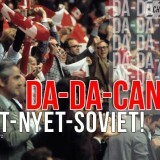 A year later, he totaled 367.5kg (165+202.5) and won another World medal – a bronze medal at the 1976 World Junior Championship. Needless to say, the gold in 1976 went to a 20-year old super heavyweight Leonid Taranenko of the USSR. Robert Skolimowski was a 7x champion of Poland. Besides the 1980 Olympics, he had several distinguished performances at the top international tournaments including bronze medal at the 1986 World Championships in Sofia and at the 1986 Goodwill Games in Moscow. Interestingly enough, according to Polish researcher Zbigniew Gorlewski, Skolimowski takes the all-time 2nd place in terms of competitions with the national Team Poland (54). 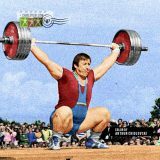 Only super legend of Olympic weightlifting Marian Zielinski had more (59)! 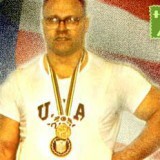 Robert Skolimowsk’s personal best total was 427.5kg (187.5+232.5) at the 1983 World Championships in Moscow. His bodyweight was 148.5kg and he took the 4th place for Poland. 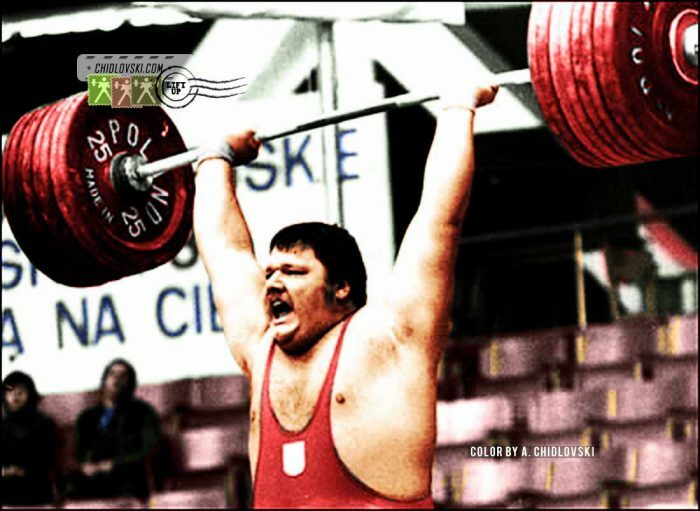 After retirement from competitions, Robert Skolimowski coached young weightlifters, worked as a bodyguard and was involved in the political campaign of Bronisław Komorowski. His daughter, Kamilla Skolimowska (1982-2009) won the 2000 Summer Olympics when she was 17 and became the all time youngest Olympic champion in hammer throw. 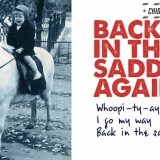 Previous story Bang! 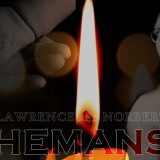 Norbert Schemansky (USA) Wins a World Title!